This dish is unlike anything I’ve ever made before, and I LOVED IT! It’s basically an Italian Meat Pie with a crescent roll crust. The crescent rolls crust did not get soggy at all, as I was afraid it might. They were still as buttery and light as ever. This dish was very filling, too. My 6 foot 3 husband ate one slice and a small salad and was stuffed. The best way to describe this dish is like a sausage pizza and a lasagna had a baby. Is that weird? Maybe. But it tasted awesome. One thing to be aware of: I couldn’t fit everything into my pie pan. The original recipe just calls for a 9″ pie pan, not necessarily a deep dish. However, I could tell there wouldn’t be enough room so I didn’t use quite all of the sausage, ricotta cheese, or sauce called for in the recipe. In fact, I only needed 7 of the 8 crescent rolls to make the crust. I’m glad I didn’t pour everything in because otherwise I think it would’ve spilled over! The recipe below is the original, but just beware that you might want to reduce the amounts to make it fit into your pan and avoid spillage. 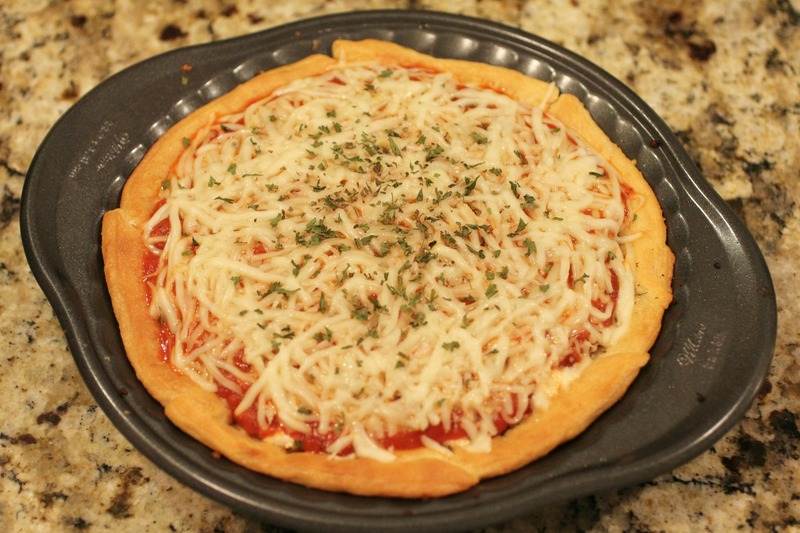 Lightly spray a 9-inch pie plate with cooking spray. Separate crescent rolls into 8 triangles. Press triangles into bottom of pie plate. (Only 7 was enough for my pie pan). Bake for 10 minutes. Remove crust from oven (If yours gets all puffy and big like mine, you may need to press the crust down a bit with a spatula to make room for the filling). Top with sausage and 1 cup of cheese. Put back in the oven for 5 minutes, until cheese is melted. This sounds so good I love how you said a sausage pizza and lasagna had a baby haha. Sounds delicious, Lindsay! 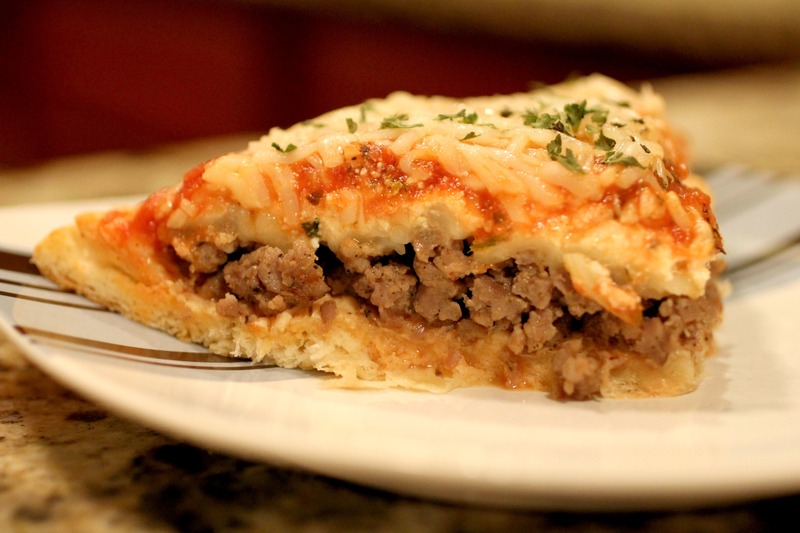 If you like Italian Pie’s, you should also try this one – Three Meat Italian Pie. It’s on my blog. Totally a man’s meal – your husband will love it! Made this and it was delicious. Added pepperoni slices along with the other ingredients to the pie. Creamy and tangy. Perfect for a rainy day. Oh I love adding pepperoni, or any pizza toppings, to this dish! Glad you liked it!